Tobacco has been rooted in the history of the United States since the 1600s. Starting as a cash crop, it became a heavily advertised household staple by the 1960s. 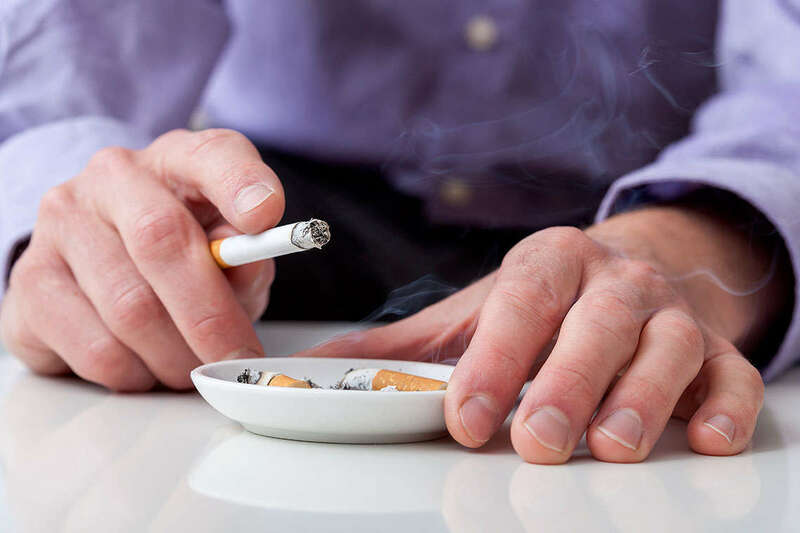 Through the years, scientists and doctors discovered the harmful effects of long-term tobacco use, including serious oral and respiratory diseases. While it is a known fact that the substance is detrimental to your health, marketers found ways to get consumers hooked. Take the case of baseball Hall of Famer Tony Gwynn. This week his family filed a wrongful-death suit against Altria Group, Inc., formerly known as tobacco giant Philip Morris. Gwynn’s family alleged in their suit that Gwynn, who died of salivary gland cancer in 2014, was victim to a scheme to get him addicted to smokeless tobacco while in college. Marketers saw him as a “dream come true” when the industry was determined to promote and attract an African-American audience, the suit says. Gwynn became a walking billboard for a product that has been deeply embedded in the fabrics of the game. In light of the Tony Gwynn case, here are five major lawsuits filed by private individuals against tobacco giants throughout the years. Miami Beach pediatrician Howard Engle sued tobacco giant R.J. Reynolds in 1994 for misleading the public and the government about the dangers that resulted from smoking. A lifelong smoker, Engle and his lawyers filed a suit on behalf of himself and six other individuals. The jury awarded him $145 billion in a landmark verdict in July 2000, making it the largest punitive damage awarded in U.S. history. While the verdict was overturned in 2003 due to its excessive and disparate nature, Engle received a six-figure settlement. The Johnson case is a progeny of the Engle suit. When chainsmoker Michael Johnson died of lung cancer in 1996 at age 36, his widow Cynthia Robinson sued R.J. Reynolds. She argued that the company was aware of the risks cigarette users faced, such as addiction and lung cancer, but were negligent in telling smokers like her husband about the dangers. The lawsuit’s goal was to keep tobacco giants from targeting children and young adults with advertising. The jury awarded the plaintiff $23.6 billion in punitive damages after a four-week trial, plus an additional $16.8 million in compensatory damages. The plaintiff’s attorney, Christopher Chestnut, told a local CBS news station, “The jury wanted to send a statement that tobacco cannot continue to lie to the American people and the American government about the addictiveness of and the deadly chemicals in their cigarettes.” A circuit court judge later drastically reduced the award to $16.9 million. The widow of an Air Force war veteran filed a suit against R.J. Reynolds in 2015 and was awarded $34 million. Gary O’Hara passed away in 1996 at the age of 50 after a chronic backache beginning in 1994 turned out to be lung cancer. The family attorney attacked the mammoth tobacco company, arguing the company has not improved from “its history of trying to hide cigarettes’ addictiveness and harmfulness,” according to a Law360 report. In 1999, 53-year-old Los Angeles resident Patricia Henley was awarded $51.5 million after contracting inoperable lung cancer — $1.5 million in compensatory damages and $50 million in punitive damages, according to the New York Times. The three-pack-a-day smoker Henley and her attorney argued that the cigarette maker failed to adequately warn smokers of smoking’s hazards. Henley began smoking at the age of 15, when warning labels on packages did not exist, and continued for the next 35 years. While the amount was later slashed to $10.5 million during an appeals hearing, Henley vowed to donate the money she received to educate children about the dangers of the addictive habit and to help children suffering from smoke-related illnesses. “This money will allow us to continue the fight against the No. 1 killer in this country,” Henley said in a statement released by her attorney. Morgan & Morgan is proud to join the list of one of the largest victories ever against the corrupt tobacco industry. Attorneys Keith Mitnik and Greg Prysock obtained a jury verdict of $90.8 million in Florida court while representing Lyantie Townsend against the second-biggest U.S. cigarette maker, R.J. Reynolds. Townsend lost her husband Frank, who had been a smoker since age 13, due to lung cancer in 1995. After the jury determined that the tobacco maker was 51 percent at fault, the widow was awarded $10.8 million in compensatory damages and $80 million in punitive damages, making it a landmark victory for the firm.